I guess you can officially call this the RC-WRC, or just simply remote control rally racing, nevertheless, it looks like good fun. For those who have ever watched or participated in rally racing, you know what an intense exercise in control it is. Rally cars run at or near wide open, on dirt and gravel roads, through forests lined with trees and spectators, who are often daredevils themselves. Radio control rally racing is basically the same thing, but scaled down to cars small enough to be carried like a football. These diminutive all-wheel-drive cars look identical to their full-scale counterparts and, thanks to advancements and battery, ESC and suspension parts for these tiny rally cars, they behave very much like the real thing as well. I’ve seen these cars plenty of times, but this video adds an element I’ve never seen, and I’m not really sure how I feel about it. One of the things I always enjoyed about RC racing was the fact that you could “drive” until the batteries are dead without having to move. Bring a comfy chair, find a spot with a view of the track, and cut loose. Apparently, this seems to be changing, at least if you do things like the guy in this video. 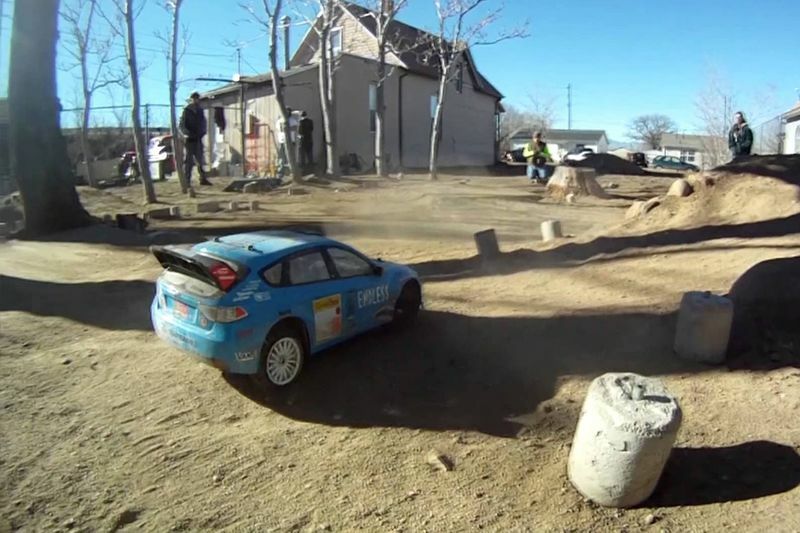 Instead of climbing up a stand or just standing in one spot and driving from a single location, this rally racer actually runs alongside his car as he zips through the course. If this is one of the rules, that you have to follow your car through the course, it could be a lifesaver for some of those guys, like myself, who are a little on the un-fit side. For those out there who are already in good shape, could that be an advantage, or does this guy in particular just like to keep a close watch on his lines through the course? What do you guys think about this? Is chasing your RC car through a course a little too much, or is this guy just trying to give himself the best shot at laying down the quickest time through the course? He looks kind of ridiculous to me, but maybe that’s just because I’m fat. Your Ears Deserve To Hear This Porsche Rally Car! Peugeot Aims To Win 3rd Consecutive Dakar Rally With The 3008dkr Maxi!